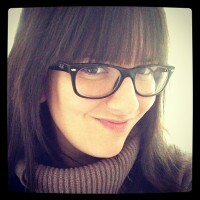 Handmade Detroit | Where in the world is Craftie?! Where in the world is Craftie?! Meet Craftie. Who? Oh, you know him. 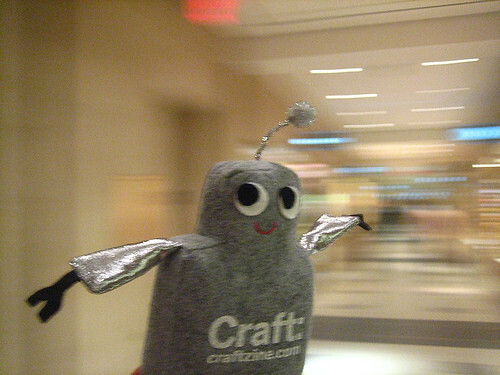 He’s that adorable lil’ Robot spreading the word about CRAFT magazine. Craftie’s been all over getting to know crafters, makers, and all-around nifty people. 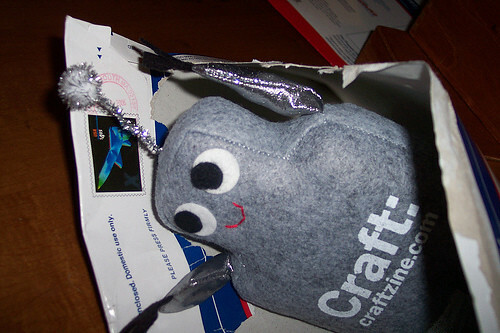 Just the other day, I had a chance to ask Craftie some questions about what life is like as the DIY world’s cutest robot. Lish: How are you doing these days, Craftie? Craftie:I’m doing very well, Lish. Thank you for asking. L:Why are you visiting crafters/DIYers around the country? 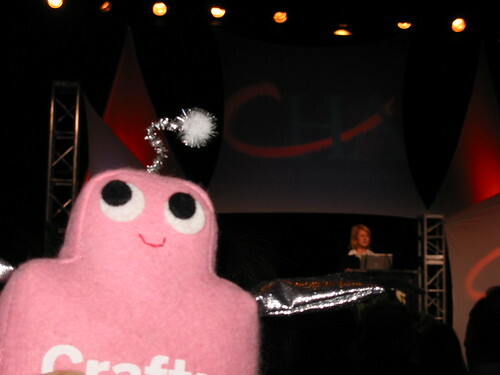 C: As the plush robot mascot for CRAFT magazine, my duties are many. Chief among them is personally representing the magazine. I take this to mean personally meeting and greeting crafters, seeing what their work environments are like, seeing what their crafts are all about and maybe taking in a sight or two. I’m basically spreading the good word about craft and CRAFT. I consider myself to be CRAFT’s robot ambassador of love. L: Where have you been so far? C: I began with a quick trip across the United States — California, Texas, Michigan, Massachusetts and New York City. I left the States for the UK, then the Netherlands, and then Germany and I’m currently in Estonia. From here I’ll got to Turkey, New Zealand, and Singapore and back to California. L: It looks like you’ve been all over. Do you have a favorite place so far? C: Maybe it’s inside an envelope. People often say that, “getting there is half the fun.” Well, those people are clearly wrong, because “getting there” is usually a tremendous hassle — an obstacle. *However*, I have to say that I do very much enjoy the anticipation of new adventures, and “getting there,” though not “half the fun,” is a pretty good time. When I’m inside the envelope, I can replay the experiences from my last adventure, I can speculate about the experiences I’m about to have and I can sneak in some much needed rest. At that moment just before my envelope is opened and I meet someone new and see a new world unfold, my little plush heart races like you can’t imagine. The anticipation is an amazing thrill. I might also say “in the arms of a good friend.” That’s a fine place to be. L: What do you tell people about CRAFT when you’re out and about? C: I like to tell them that there’s a magazine out now for people just like them, for people who love being creative or who WILL love being creative. The thing I love about the magazine is that it’s accessible to so many different people — people who have been crafting for years, people who are just starting out, even people who’ve never considered crafting, but who are looking for creative ways of expressing themselves. If they can’t get their hands on the magazine right away, CRAFT’s blog has tons of project ideas, too. L: When you’re not busy traveling, what do you like to do? C: I like listening to books on tape, especially short stories. The nice thing about books on tape is that they leave your hands free for crafting or for just resting them behind your head while you’re laying in a hammock. I also like laying in hammocks. L: What kind of crafts are your favorite? C: I enjoy needle crafts, like needlepoint and embroidery. I enjoy detail work. My body is plush and filled with stuffing, making for an excellent and extremely convenient pin cushion. I don’t feel a thing, I promise. L: You’ve got a cousin named Pink Craftie — what kind of trouble do you two get into? C: Miss Pink Craftie and I are rarely in the same place at the same time. We have had our share of shenanigans, though. One time we convinced all the other Craftie robots that they were inanimate objects incapable of speech or independent thought and movement. We had some fun times! Image courtesy of Susan Beal. L: Do a lot of robots craft? C: Actually, yes. It is the little-known Fourth Law of Robotics: A robot must craft when materials and time are abundant as long as such crafting does not conflict with the First, Second or Third Laws. C: I feel as though you’ve known me all my life! Dancing Machine is right up there with a certain song from Styx. I can pop-and-lock with the best of them. L: What’s your favorite: regular peanut butter or crunchy? C: Smooth. Just like me. Smooth, indeed. Thanks, Craftie! Stay up to date on all of Craftie’s travels over on his Myspace page. Yay for Craftie! I am signed up to be an ambassador to Craftie when he’s ready to come to the D! Hahaha, we’ll fight for him! I love a man made out of metal! No need to fight, ladies! Maybe we can all get together for some cupcakes? Ok, ok. I guess we can share. I mean, Valentine’s Day IS tomorrow, and love is all around…!